Beautiful seaside town Cleethorpes welcomes tourists and industry all year round to its vast array of attractions. Now hailed as the Wind Power capital of Europe, The Humber area hosts industry from Wind, Fish, Food Growth and Production, and Oil and Gas. You will always be assured of high standards, sincere customer care and the very warmest of welcomes whilst staying with Cleethorpes Lettings. All of the houses and apartments are spotlessly clean, modern and spacious. They have fully fitted kitchens, beautiful bathrooms and quality mattresses with luxury linen. All have central heating. Our properties make the ideal home from home for colleagues working in the area, offering much more space, comfort and facilities than a hotel room a b&B or guesthouse. The kitchens are all fully equipped and have washer and dryer, fridge and freezer, iron and board, microwave, fan-assisted oven. Most have a dishwasher. All have dining tables, ideal for paperwork in the evening. Or perhaps you are building your own home, having renovations, or moving house and need a temporary home for your family for a while. All our properties are perfect for such a stay. Each property is in central Cleethorpes (Defender House being the only exception) within easy walking distance to all bars, restaurants, shops local entertainment and the beach, promenade and gyms. All properties are less than 15 minutes drive to Grimsby Port (the home to DONG, EON, CENTRICA, MHI VESTAS OFFSHORE WIND, CWIND, SIEMENS. There the A180 takes you onto Immingham and Killingholme (with their power stations Lindsey Oil Refinery and Phillips 66 and superb training centres MODAL, CATCH and AIS) and onto the Humber Bridge over to Hull. 15 minutes in the other direction the A16 heads to Holton le Clay (Murphys / DONG Hornsea One Site), Louth and Lincoln. Our prices are nightly/weekly/monthly (depending on your preference) and are “all inclusive” with all bills included and weekly service. Weekly rates (all bills included). Tv in every room including bathroom! New for 2017, and totally refurbished. Apple Blossom Cottage received a total refurb in April 2017. Brand new everything! Only 2 minutes walk into the Seaview Street Quarter and St Peters Avenue. This cottage offers modern living in the perfect location. A modern and bright and airy apartment located right in the heart of Cleethorpes, 5 mins walk to the beach and bar and restaurants. Convenience shop and takeaway across the road. Stunning uninterrupted views across the beach, sea and promenade, this luxury apartment is located literally right inthe centre of Cleethorpes. A stones throw from the famed Seaview St Quarter where you have the choice of all the fabulous restaurants, bars, and shops. A very light and airy apartment providing 2 bedrooms and 2 bathrooms located 7 minutes from Grimsby Port and a short walk into the hub of Cleethorpes and Seaview Street Quarter for the fabulous restaurants, bars and shops. the road from the beach and promenade. An exclusive 3 storey town house locaTed right on the Cleethorpes promenade and only 10 minutes from Grimsby Port. In the hub of Cleethorpes’ Seaview Street Quarter for all the fabulous restaurants, bars and shops. The house consists of 3 beautiful suites. 3 bedrooms, 3 lounges, 3 beautiful bathrooms, large luxury kitchen and dining for 8 people. Beautiful views across the golden beach and water and promenade from all three floors. 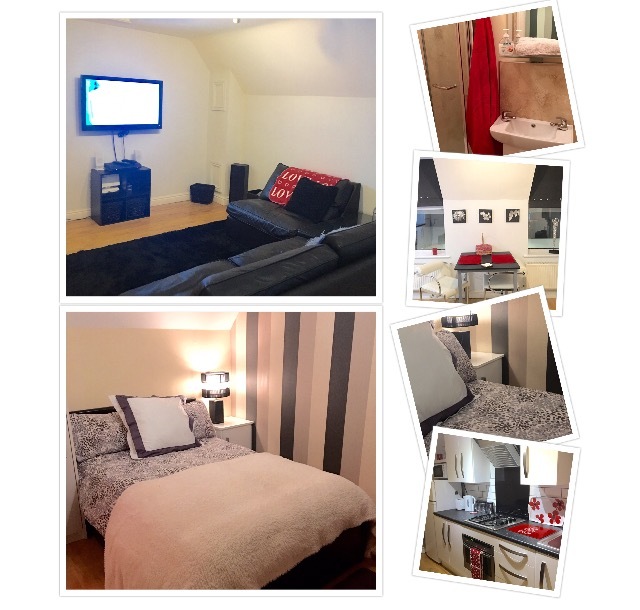 This property is a superb corporate let for 3 people wishing to have their own private personal facilities within the one home, or for a family locating to the area for an extended period. This property has the very rare advantage of having 2 spaces in a garage. A block of 3 one bedroomed apartments located 10 minutes from Grimsby Port and in the hub of Cleethorpes and Seaview Street Quarter for the fabulous restaurants, bars and shops. Only 2 minutes walk to the beach and promenade. A block of 9 modern and contemporary apartments located in Seaview Quarter... the central hub of all things Cleethorpes. A minute’s walk to the fabulous shops, restaurants, deli, niche Gin and Vodka bars, Tapas French Indian English restaurants, real ale pubs, quintessentially British tea shops and the home of the infamous Tillets of Cleethorpes and The Lost Boys men’s fashion shop. The Apartments themselves are quiet and private. Parking is on street or in the 100+ space car park 100m away.